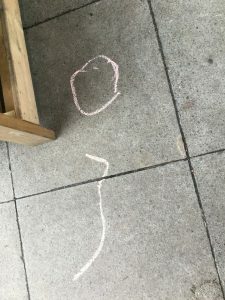 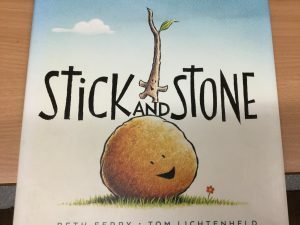 Stick and Stone make a perfect 10! 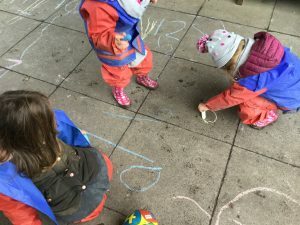 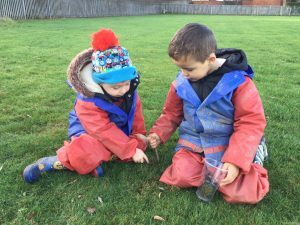 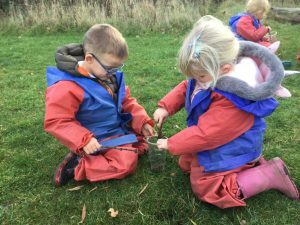 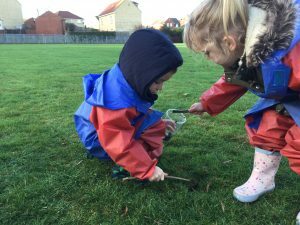 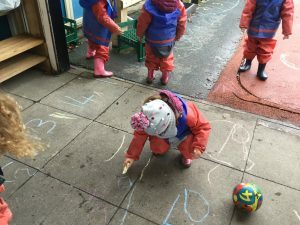 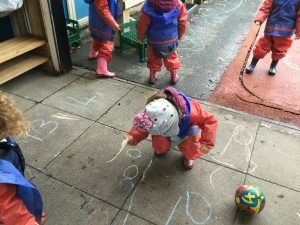 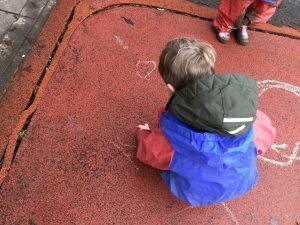 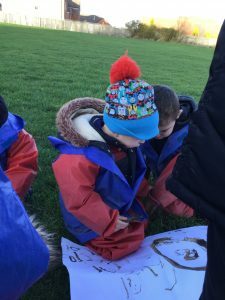 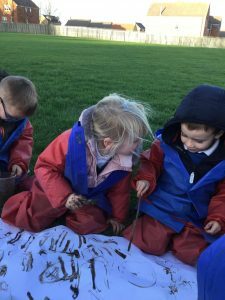 We have focused on the book, ‘Stick and Stone’ this week in nursery. 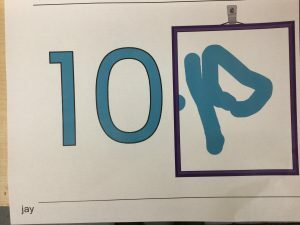 We have made the number ten in a variety of ways as well as making the characters, ‘Stick and Stone’. 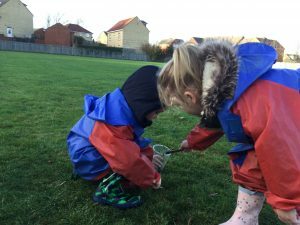 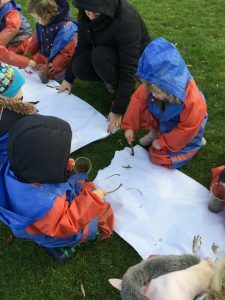 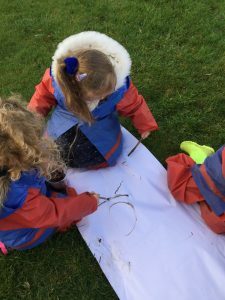 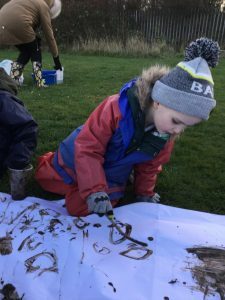 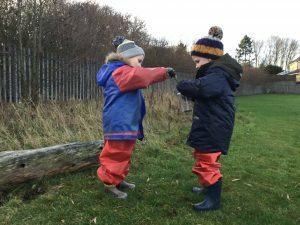 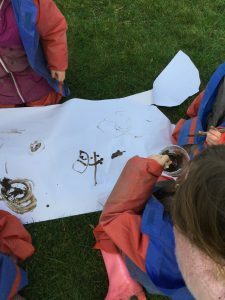 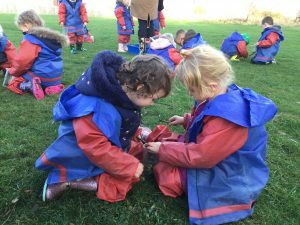 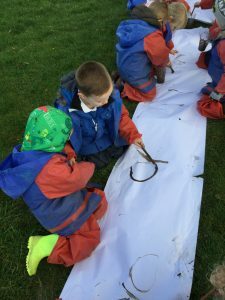 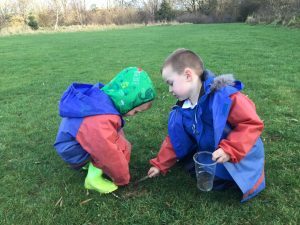 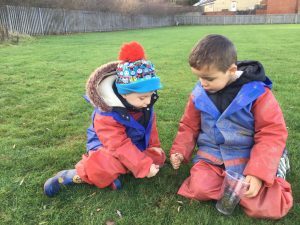 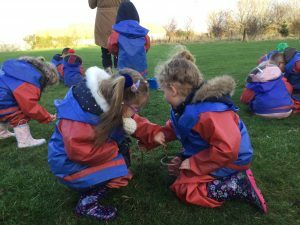 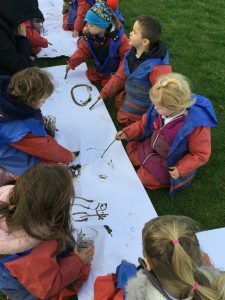 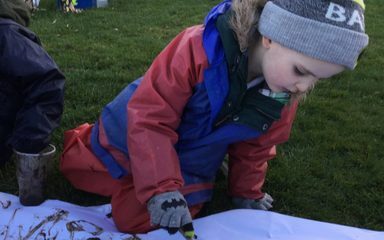 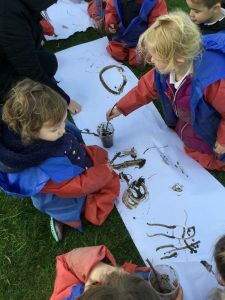 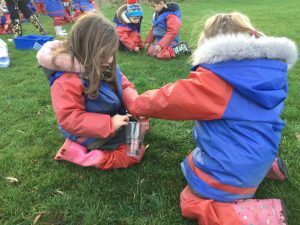 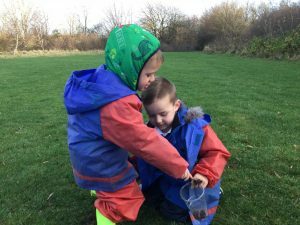 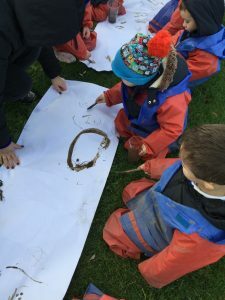 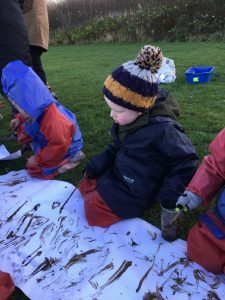 During our Forest Schools session we worked and explored together as friends (just like Stick and Stone) to make some mud paint. 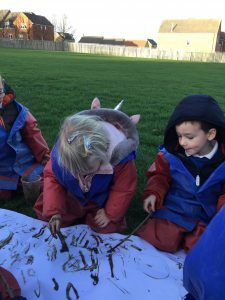 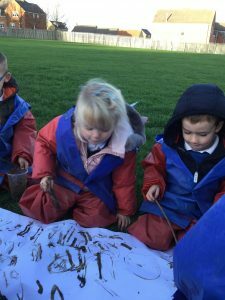 We used our mud paint to make some fabulous tens, using a stick as a paint brush.